I swallowed, but my mouth was dry. I cupped my fingers round my chin. I couldn’t stop touching the deep, red, painful lumps there. Please, I wanted to yell, just make them go away. When I saw that doctor I was feeling desperate. It was part of my job to go on a stage and present public events, but a few weeks before, my face had exploded with throbbing red bumps that developed into giant yellow pustules. I plastered my face with foundation, but some of the pustules burst and encouraged new crops of yellow lumps, like mushrooms springing up after rain. I was 34 and had been struggling with acne, on and off, since I was 13. I first felt a sprinkling of tiny bumps on my forehead at the same time I started noticing boys. I was prescribed antibiotics and used all kinds of lotions, none of which worked, and even tried giving up chocolate, which didn’t make any difference at all. Acne is embarrassing and upsetting as a teenager, knocking confidence at just the time you’re trying to summon some up. But it’s even worse when you’re an adult. I was working in a bookshop as a 23-year-old when the scattering of normal spots on my face suddenly burst into a mass of red lumps that seemed to pulsate under my skin. I was referred to a dermatologist, who put me on Roaccutane, a drug that shrinks the oil glands, helping stop pores becoming clogged with oil and inflamed with bacteria. It was meant to be a miracle drug, and I waited for that miracle to happen to me. Instead, almost every pore on my face seemed to turn into a red lump, which turned into a multi-headed pustule. Soon, there seemed to be more pustules than normal skin. Every time I looked in the mirror, I felt sick. Acne was the first thing I thought about in the morning, and the last thing I thought about at night as I slathered ointments on my sore, weeping skin. My doctor referred me to a specialist hospital for skin diseases, where I was blasted with ultra-violet light while standing in a metal box like an upright coffin. It burnt off most of the spots, and quite a bit of the skin. For about a year, my face was much better, but then the spots came back. I tried more antibiotics. I tried homeopathy. I tried acupuncture. I tried Chinese herbs. I saw a nutritionist. Many people think acne is a teenage problem that passes, but it isn’t. ‘Half the patients I see are adults,’ says Professor Tony Chu, a dermatologist and founder of the charity Acne and Rosacea Association UK. It’s these hormones that cause the changes in oil production and the blockage in the pores. A former acne patient himself, Professor Chu knows more than most about the distress it can cause. Many of the patients he sees have been put on antidepressants. Some are suicidal. When my acne was at its worst, I came pretty near to it. Sometimes it felt like too much of a challenge to walk down the street. No wonder she spent most of her adolescence on antidepressants. Like me, Claire was semi-permanently on antibiotics, which made little difference. Like me, she didn’t dare come off them, in case the acne got worse. In her 20s, she wouldn’t stay with friends because she didn’t want to be seen without her thick mask of makeup. ‘I always wanted to be an actor,’ she says. 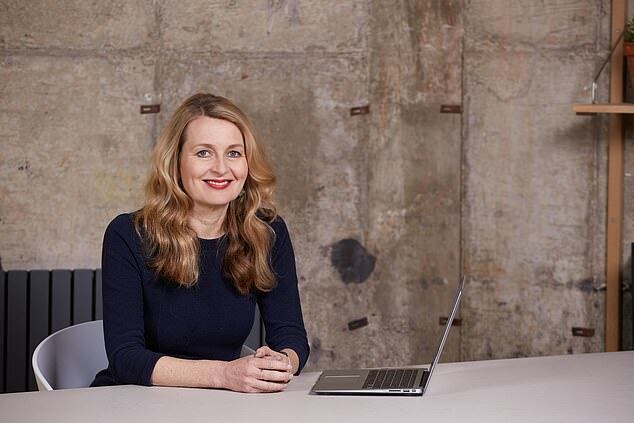 ‘But my self-worth was wrecked by acne.’ Claire didn’t feel better about her skin until she was 40, when she had a baby and her spots largely disappeared. Duncan, 57, who contacted me after reading about my acne in my book, The Art Of Not Falling Apart, has also struggled with it for most of his adult life. ‘I drank a lot,’ he says. ‘I realise now I was self-medicating. Duncan wanted to be a quantity surveyor. He went for his interview on a hot summer’s day. ‘I had a jumper on top of a shirt because my back always bled, because of the acne,’ he says. When he was 28, he was put on Roaccutane and the acne cleared up. He still sometimes gets break-outs and has severe scarring. Duncan works in mental health and enjoys his job, but has regrets about the things he missed out on. ‘There’s always that feeling that I didn’t do things that my pals were doing,’ he says. For Professor Chu, these are familiar stories. He has spent his professional life trying to help people avoid this kind of pain, but is not a fan of Roaccutane. This week: You’re prone to getting fat. Getting fatter in the winter isn’t just about eating comfort food. We have thousands of different bacteria in the gut, known collectively as the microbiome. Each bacteria has a different job and a 2014 study found that, during winter, the balance shifts so we have higher levels of Firmicutes — bacteria that absorb calories. Why this happens isn’t known, but ‘during winter your body wants to extract and store as much energy from food as possible’, said University of Chicago researcher Dr Emily Davenport. However, we might also contribute to the change by swapping to a stodgier diet. High levels of plant foods in the diet create a more diverse microbiome, ‘but if you’ve been eating three or four servings of fresh produce a day and that shrinks to one in winter, you may change the composition of your gut bacteria accordingly’, says Dr Davenport. He has, he says, had patients referred to him who have had 12 courses already. And the side-effects can be ‘dire’. Not just, he says, the depression and risk of suicide, but ‘acne fulminans, where your acne goes ballistic, in places you’ve never had it before’. It’s thought this may be due to the presence of microcomedones, deep-seated blockages that can blow up into large pustules. This is what happened to me when I was prescribed Roaccutane. What saved me, in the end, was a drug called Androcur. It blocks the effects of androgens — male hormones such as testosterone. The drug, which I took as a daily pill, is also used as a hormone therapy for transgender patients undergoing transition treatment from female to male. It gave me a migraine every month, but I was so desperate I put up with it and took it for three years. When I was diagnosed with breast cancer, at 39, I had to come off it, but the acne never came back. It’s 40 years since I first developed acne. So what, I ask Professor Chu, are the most exciting new treatments? Acne treatments are not considered worth the multi-million investments it takes to get a drug off the ground. There are, he says, more developments in treating acne scarring than in the spots themselves. For the scarring, he uses an electric automatic needling machine that produces 100,000 tiny pinpricks a minute, which some studies have shown can cause a 600 per cent increase in collagen production. ‘It’s fantastic, but I prefer not to treat acne scarring. I prefer to prevent it,’ he says. So say all of us. I wish it hadn’t taken me so long to treat my acne successfully, but I’m relieved I now just have my wrinkles to worry about. 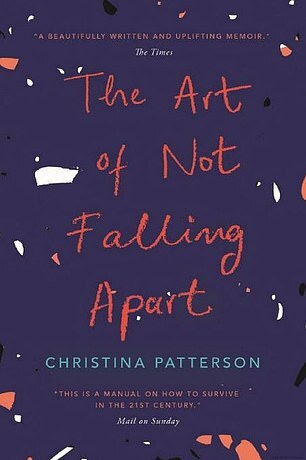 The Art Of Not Falling Apart is now out in paperback (Atlantic, £8.99). MexicanRoutes.com is the most complete online travel guide.